This months Center Parcs challenge is to create your own mini-spa at home. I’ve not yet been to a proper spa (roll on May) but I did have a mini spa experience at an event last summer, I had a manicure, mini massage and my eyebrows threaded. I was reluctant to join in at first, but after I can easily see why you’d want it to be something you did on a regular basis. To join in the challenge just take a look at the Tots 100 page. They are choosing wildcard bloggers to become Center Parcs family bloggers and enjoy a break at one of their resorts so it’s well worth having a go and blogging about it. Now, I’m a busy mum with three young ones, but the older ones are around a lot too and my ‘me time’ is very restricted. You may think that creating a mini-spa at home would take all day, but you can still have a little pampering even if time is limited. I usually get about 30 minutes and this is an example of what I do. I often shower with a toddler in the room, squirting out the toothpaste in the sink or throwing the towels into the bath tub (The toddler, not me) so to get some time to shower on my own is already a treat in itself. To make it more special I like to use some lovely products and really pamper my skin and hair. This time I used a gift set I was brought for Christmas. The name Chilli Pepper was slightly off putting, but I can assure you that I didn’t end up smelling like an Indian take-away. Smelling sweeter and well moisturised I moved on to step two. I cannot deny it, it happens to the best of us, I am getting old. I can see it in my face even when my head is in full denial. So a good facial routine is a must. 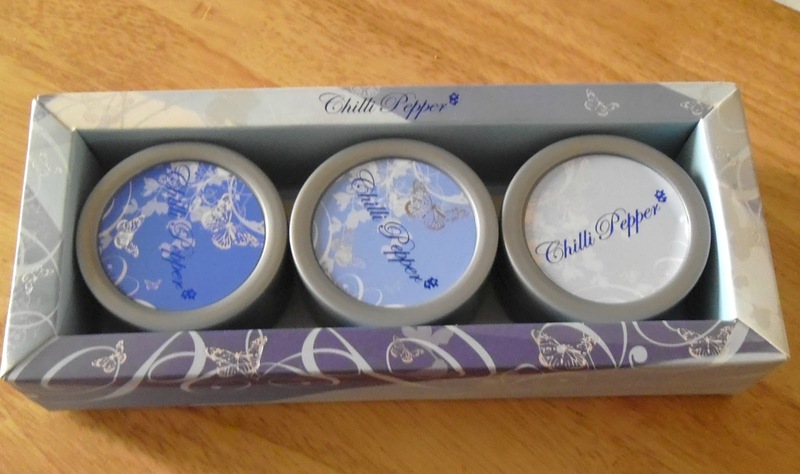 I am lucky to have a lovely set from Center Parcs Aqua Sana Spa. 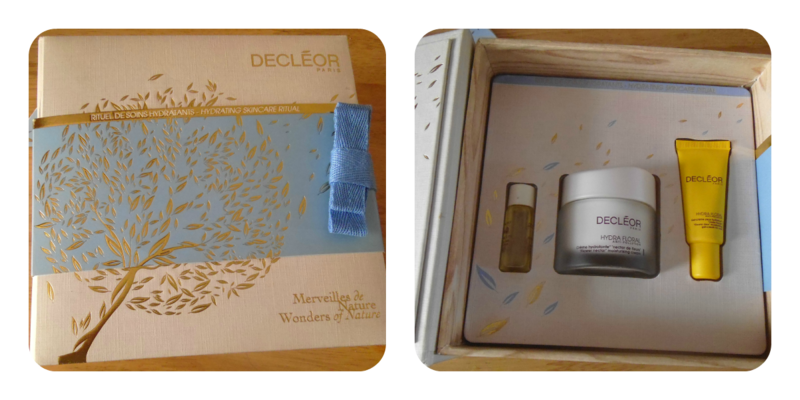 I have a Decléor hydrating skin ritual kit. Starting with a beautifully aromatic essential oil, followed by a ‘flower nectar’ moisturising cream. Finally a delicate gel eye cream. I love it, it always makes me feel refreshed and soft. I also have a crazy little love affair with boxes (don’t ask) and I keep this set on my shelf still in the gorgeous box it came in. By now my 30 minutes are up, but I’m feeling refreshed and renewed and ready to face anything…yes, even an hyperactive toddler. I hope I’ve proved that even busy mum’s can spare enough time for a little pampering. I remember when I first became a fan of social networking. I was 15 years old and my older brother had a CB radio fitted in his car. The first few times I tried I just couldn’t speak, but less than a month later I’d been given a radio of my own which I had in my bedroom run on a car battery with an aerial stuck in a biscuit tin. I called myself Sweetpea and chatted with anyone who could hear me into the early hours of the morning. I joined a group called the R&R breakers and we used to have meetings every other month. I had some calling cards which said ‘You have been eyeballed by Sweetpea’ and I loved meeting new people all the time. I was useless at meeting people normally, but after chatting with someone on the radio the ice was already broken when we met. In fact it was on the CB radio where I met my first real love who I later married. My next experience of networking was many years later when I was introduced to the Internet (Ah yes, I’m really that old) First up it was forums like yahoo groups, then on bulletin boards. I started meeting people from further afield, I think the furthest to date is Alaska, when a lovely friend I’d been speaking to stopped by during a holiday in the UK. Then I discovered Facebook and then Twitter. I love the sharing aspect of Facebook and I’ve re-connected with a lot of old friends and family members, even some of my old CB friends! Twitter reminds me most of the CB, that too was very much like walking into a room full of conversations and finding one to join in with. You could spend time talking to yourself on the CB too, particularly if you were trying to catch a foreigner. I then joined Pinterest which was a little confusing at first, then I realised it was just like a giant storage room where you could store whatever you found and share with others. I find I use it all the time when I am planning an event, or a cake, or just looking for inspiration. I’m now trying to find my way around Google+ It’s kind of like Facebook but different. I’m not sure how to really explain it because as I say I’m still finding my way. Connecting with like minded people has never been easier. It also makes sharing easier, I remember how difficult it used to be to connect with the right people many years ago, but now with so many social networking sites it’s not difficult at all. These days there is really no excuse for not linking up….unless you are not very social. Of course if you are a blogger you are already networking because even without too much effort people will find you and interact. Here is how I use Social Networking. Next I’m off to check Twitter. I use this just for general chatting, often talking to myself, but also joining in with others. I will also share my links to new blog posts and occasionally enter a competition. On Pinterest I currently have 33 boards on subjects like Cakes, Party Ideas, Craft Ideas, Delicious Desserts, Great Quotations and even Zombies to name a few. You can see my profile and follow all or any of my boards here. My Facebook is for good friends and family but I also have a page which relates to my blog. It’s not very old and a bit desperate for new likers (hint, hint) I like to chat with my blog readers here and give extra entries to any competitions I may host on my blog. I love the way the internet has made it so easy to connect with others just like the CB radio used to. If you find you have difficulty with any of the platforms I’ve mentioned feel free to ask me any questions. I’m not an expert but I’ve been around a long time now. When I started this blog I wasn’t sure which direction to take it. I have a few other blogs, one about my baby, one about my cakes and another more personal one about my depression. Now this blog is becoming established and I’ve decided to use it to take over from my baby blog. One of the things I used to post about regularly there were my children’s disabilities so I have decided to re-blog a few posts from there as an introduction so I can continue writing about this here. This is a post I wrote last August about Star’s autism. I don’t tell everyone that we meet that Star has autism. Many of her friends and their mum’s at school are unaware. At the age of 7 (almost) we can get away with it. I tried to get away with it much longer with her older brother but things turned really bad when he was 12 years old I don’t want to make the same mistake. Star is verbal, intelligent and looks normal. Occasionally she will glaze over and become distant and it takes a while to get through to her but most people will take no notice. Sometimes she gets a little over excited and an a little flappy, not an unusual amount though and again, most people will take no notice. She is un co-ordinated and clumsy, she has a strange gait when walking and running and sometimes performs strange actions. At 7 yrs this is starting to be a little more noticeable but we are still getting away with it. Star talks out of turn, ignores people, repeats what you say, talks about what she wants to talk about and doesn’t really interact, talks incessantly about the things that interest her, makes funny noises all of which you can get away with at 7. When do we stop getting away with it? When does it become apparent that Star can’t help these behaviours and is not just immature. Sadly, I don’t think it will be much longer and we have to start thinking about how to deal with it, and make things easier for her. Star’s older brother didn’t have any physical problems but Star also has Hypermobility Syndrome and weak core muscles. These contribute to the strange way she walks and talks but also affect simple climbing ability. This summer our visits to the park have involved Star’s 5 yr old sister and 2 year old brother doing everything by themselves, while I have had to help Star with climbing things. One park in particular has a slide/climbing frame that you can only access by climbing up a ramp holding on to a rope. While the other children, big and small, were zooming up with ease, Star just couldn’t manage it and I had to give her a shove. Then yesterday we were at an event with face painting and the children were sitting on high stools to have their faces done. Star could not climb on to the chair and the lady who was about to paint her seemed shocked. I helped her up and went back to help her down afterwards. So, although Star may not have the traits of a severely autistic child, and doesn’t look obviously disabled, she does draw attention to herself. Do we carry on as though this is all normal? My son suffered terrible bullying and even now I worry if he goes out alone (which he doesn’t do very often.) How am I going to make things different for Star? This is the time of year when you reflect on what has gone before and what you would like to achieve ahead. In February I had my purse stolen while out on a shopping trip in town. It’s a horrid experience and I can’t believe that people can do such a thing. The culprit was eventually caught as I was not the only person she stole from that day and she left a trail. I didn’t get anything back (not even my purse) but I guess justice was done in the end. Also in February, Number 1 son went to visit his dad in France for a couple of weeks. In April I went to my first ever Blog Camp and was inspired to start this blog. I already had a blog (or two) on the go but I finally started to realise where I wanted my blogging to go and I feel now that I may be on the right track. In May I finally got a car, I bought it on Ebay off a local seller and I swear I will never use this method of buying a car again. Still, it was nice to have wheels and we treated ourself to a day out at Cosford Airforce musuem. At the end of may we had a short break in Prestatyn with the little ones. The weather was lovely and we had a great time. In June I had a weekend away in London with Eldest Daughter for her birthday. We went to see Chicago and had a day of sightseeing. It was good fun and totally relaxing to have a couple of days of freedom. August was Little Man’s 2nd birthday and Stars 7th birthday and My Little Pony Party. We also had a really nice day trip to Liverpool. September saw a local festival, a trip to Nottingham Kiddicare for a blogger event, and the decision to send the Little Man to pre-school a couple of days a week. I won a competition to become a Center Parcs family blogger and had a trip to Sherwood Forest Center Parcs to learn about my role and meet some other family bloggers. October was a lucky month because my other half also found himself a job after being out of work all year. In November I took my girls to see Disney on Ice after winning tickets. I went to the International Cake Show with Eldest Daughter. We also visited the lovely Christmas German market a couple of times. The end of the month saw me getting another year older. I had a lovely day out with the girls when we went to see The Gruffalos Child. Christmas was quiet but nice (I was still really ill) but New Years was great fun as all illness had been banished and family and friends gathered (at last minutes notice) for a really good night of food, drink and fun. So, you’ve got this far, well done. Now for my resolutions. Well, not so much resolutions but wishes for the next year. And that’s it for now. My list will probably grow longer as the year progresses. For now I’m focusing on looking forward and the most concrete thing to look forward to so far is our Center Parcs holiday in May. N.B. Some of the links will take you to other blogs but I can assure you that it’s all my words. Click button to find other bloggers posting about their year! On 23rd December we went to Birmingham Town Hall to see the Gruffalo’s Child. I took Star and Boo and we were all really excited. We have the book and have seen the animation on tv, but now we were off to see the live show. With just three actors throughout, a very simple set and basic costumes the show was simple but very entertaining. The songs were lovely and the girls were soon singing along. We all had different favourites, Boo liked the snake with his shiny coat, he was a real party animal. Star liked the fox, but then foxes are a favourite of hers anyway, she loved his big bushy tail. My favourite was the owl who taught us how to fly. The show is advertised for 3 years plus and I do think that a lot of the younger ones that had been brought along did find it difficult to sit still for the whole show. There was a small child in front and one behind us that spent most of the show crawling around the floor. They didn’t distract my girls though, at ages 5 and 7 I think the show kept them captivated. You can catch the Gruffalo’s Child at the Birmingham Town Hall until 16th January 2013, then it will be on tour around the country until 16th June. All dates and venues can be found here. Our trip to see the Gruffalo’s Child was arranged by the lovely Cat from Yellow Days, a big thanks to her for arranging this and to Birmingham Town Hall for the tickets.